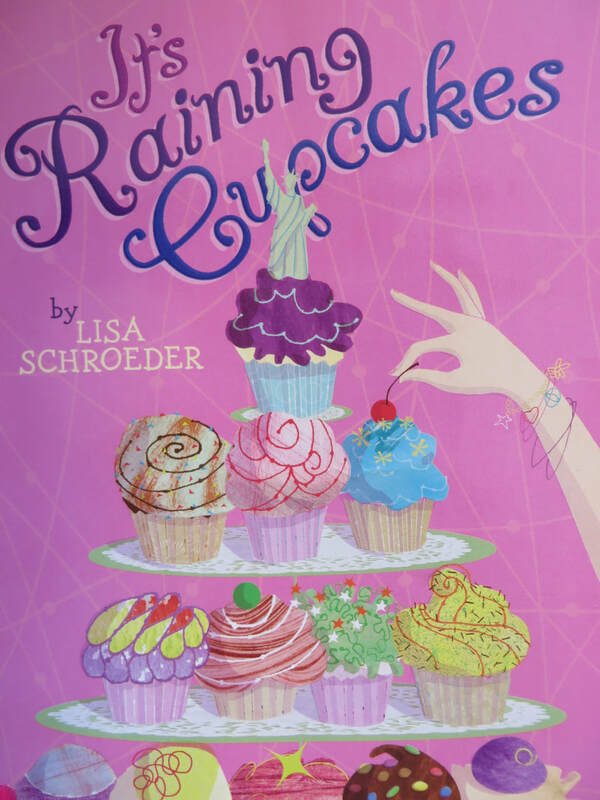 Each book in this trio with overlapping characters can be read independently, or in any order without any confusion, but It's Raining Cupcakes is technically the first book. Isabel's mother is opening a bakery, but she doubts herself. Isabel works hard to make the opening day a success, while she gets to know her new neighbors and spends time with her best friend, Sophie. When Sophie tells Isabel about a baking contest, Isabel isn't sure she has the time or the talent to try. Sophie gets an audition for a commercial, and acting is her passion, but it's an ad for a gigantic chain brownie store that might put Isabel's family cupcake shop out of business. Sophie spends a lot of time trying to figure out how to do the right thing. Lily joins a mother-daughter book club, but the other members like to bake, and decide to combine the book club with that interest. Lily is a failure in the kitchen, but can't bring herself to say so at the first meeting. Things snowball until Lily is planning a surprise party, including dessert, for one friend, while she tries to work on her real passion - her music - with other friends. The focus of each book is mostly about self-awareness, communicating honestly with friends, and pursuing a specific dream. Recipes are included as a fun text feature. This isn't a trio that will work for an in-depth book study, because the messages and writing are fairly straightforward, but the books are likely to appeal to a segment of readers who are trying to navigate their own friendships and goals. There is some interest in boys presented in the books, but the contact is not actually dating, and those interests are not the primary concern in any story. The content would probably suit interested advanced third graders, and be a good fit for struggling sixth grade readers.